On this page you can view/print profit for selected period. - summary for all doctors (do not select nothing). - summary for all doctors by patients (just select patient from list). 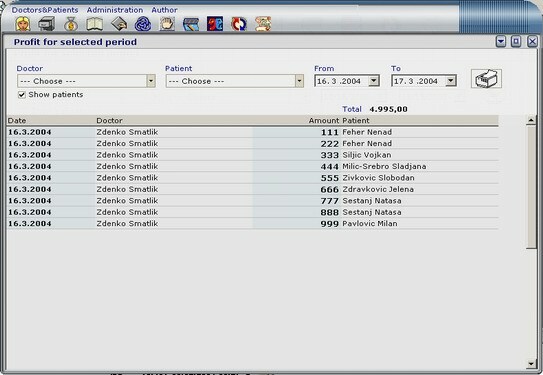 � Also you can select date period, and see just data that are created in selected period.